Distance: 3 miles/5km - 1½ hours. 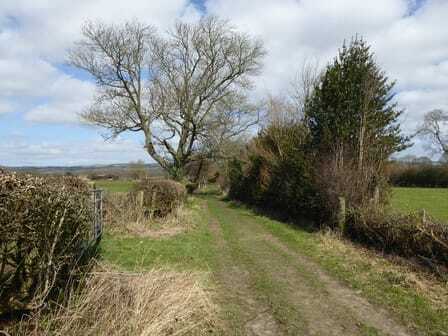 Terrain: Flat field paths, potentially muddy in places, followed by quiet track and lane. No stiles en route, so a good dog walk! 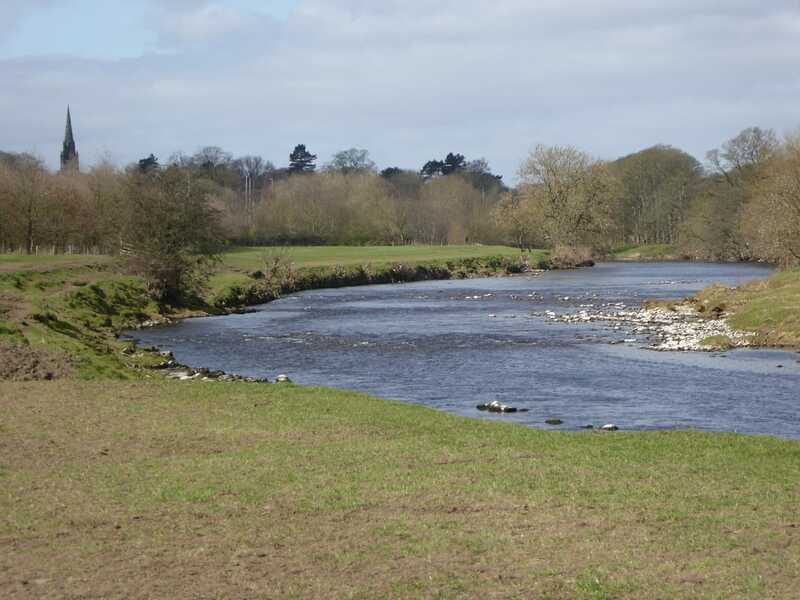 Introduction:This flat walk explores the eastern edge of Burley-in-Wharfedale, including the site of the Pudding Tree, the old Corn Mill dam ,Burley Hall and the River Wharfe. There are especially attractive views of Otley Chevin on the section to Otley Golf Course. The Pudding Tree was an elm tree (now felled and replaced) where every seven years till 1787 a giant pudding was cooked and given to villagers. It contained 30 stones of flour and 30 stones of fruit. It was boiled, sold and eaten under the tree. One wonders how well the centre was cooked! The dam, built originally to provide power to the corn mill, is now an attractive pool opposite the entrance to Burley Hall. This was originally the manor house of Burley, with records dating back to the C13th. The present building was built in 1832 to replace a house which burnt down in 1822. It remained in private possession under a series of families, until after the Second World War it was sold to the local authority for use as a residential home for the elderly. It is now a residential and nursing home. Whilst walking along the river look out for Kingfisher, Dipper and Wildfowl at any time and in spring and summer you may see Sand Martins, other Hirundines and Swifts.